Inspired by techniques going back over millennia, blended with processes from fine wines and craft beers, at Real Kombucha we really know our fermentation. Our unique brewing process builds on the delicacy of our teas with complex floral and fruity flavours, astringency and subtle acidity more commonly seen in the most carefully crafted alcoholic brews. Real Kombucha is brewed from hand-picked, loose-leaf fine teas carefully selected from small gardens around the world. Working closely with our very own tea expert, we have experimented with over 150 teas to develop our three individual brews. 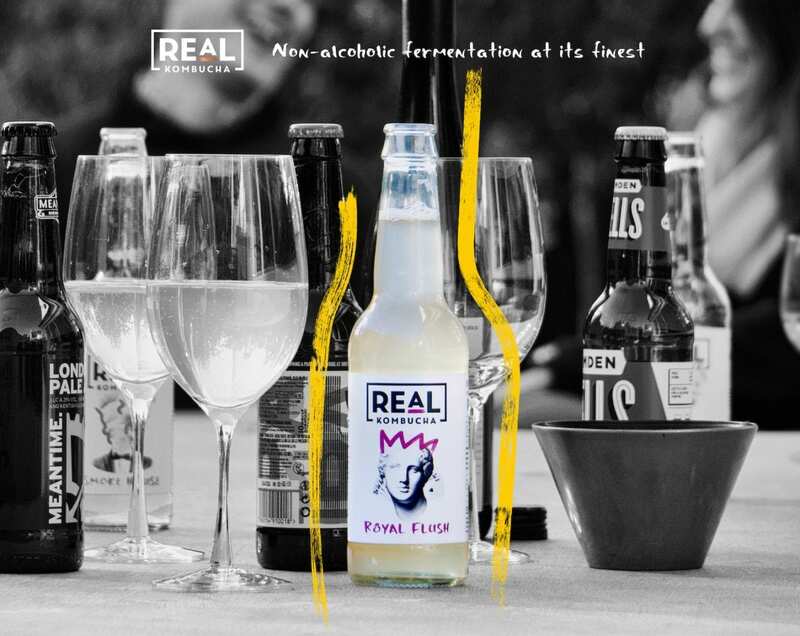 Focused on complexity of flavour, our drinks have an ability, unique amongst non-alcoholic drinks, to pair with a wide variety of different foods. Brewed from Dragonwell, a pan-roasted green tea from the area around Longjing Village in Zhejiang, China. Dragonwell makes a kombucha that is light and fruity with notes of grapefruit and lemon, with the clearly detectable undertone of green tea. Brewed from First Flush Darjeeling, known in India as the Queen of Teas. Picked by hand as the first tips emerge in spring, the tea is richly fragrant and creates a kombucha that is fresh with notes of rhubarb, white peach, almond and a subtle astringency. Real Kombucha’s Smoke House is brewed from a high-grown black tea from the southwestern districts of the Yunnan province in Southern China. A delicious brew with a warm, golden colour and a rich, smokey flavour that reveals apple and caramel undertones. WHAT ARE PEOPLE SAYING ABOUT OUR KOMBUCHA?